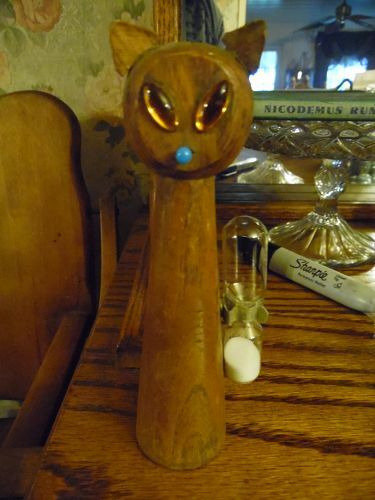 Great Mid century Modern Danish teak wood egg timer in the shape of a siamese cat. 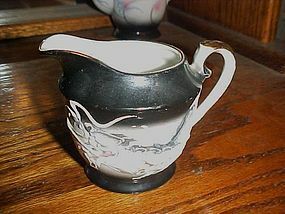 Measures 6+ inches tall. 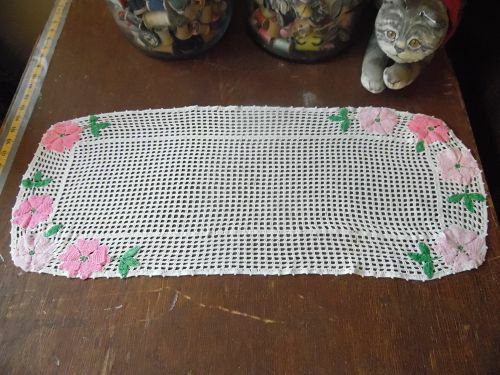 Pretty vintage crochet, rectangular shape, white dresser scarf with colorful applied crochet flowers. Measures 13" x 30". Perfect condition with no issues. 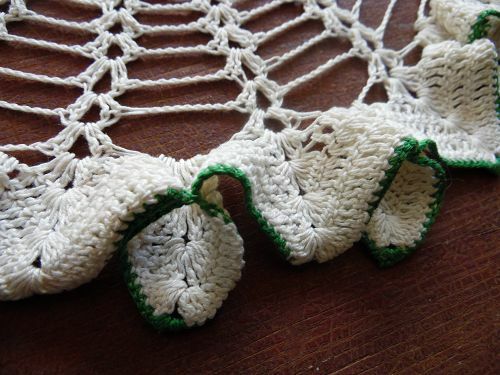 This is a very pretty scarf and will enhance your shabby cottage decor. 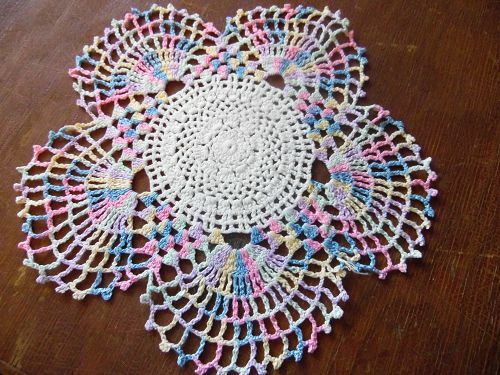 Pretty vintage doily has a white center and scalloped petal edges crocheted with multi pastel varegated thread. 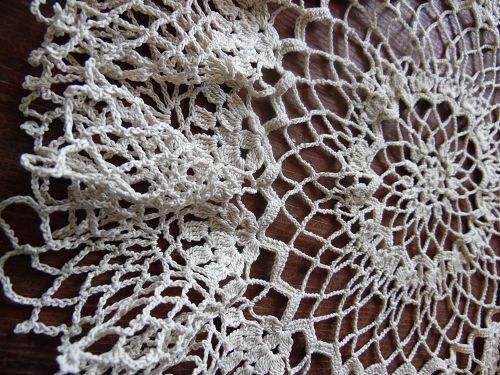 Doily is 12" diameter and in lovely condition with no issues. A pretty accent piece for your shabby cottage decor. Vintage fine crochet doily pinwheel center ecru 26"
Wonderful old round doily measures 26" in diameter. Center is a spiraling pinwheel with a lovely 2 1/2" border of flowers. 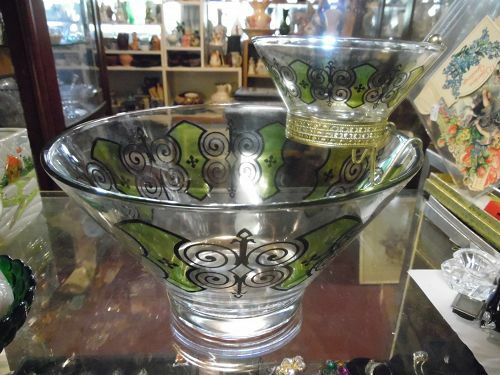 Antique ecru color and is in wonderful condition, with no holes or tears or stains. Perfect for that special table for your shabby cottage decor. 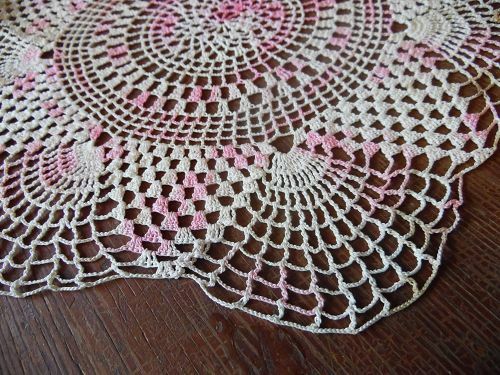 Vintage hand crochet cream and pink varigated round doily 13"
Vintage cream and light pink varigated thread, doily. Pretty fans incorporated into the pattern. Measures 13" and is hand made. Nice condition with no holes or stains. Perfect accent piece for your shabby cottage decor. 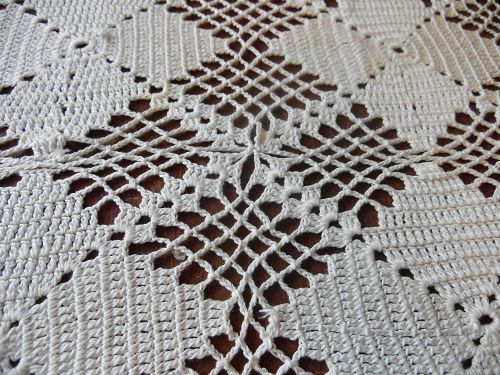 Pretty vintage doily with small crochet stitches. Ecru color and has a ruffled edge than can be starched to stand up more than the photo shows. No tears or stains. Measures 14" diameter. Nice for your shabby cottage decor. 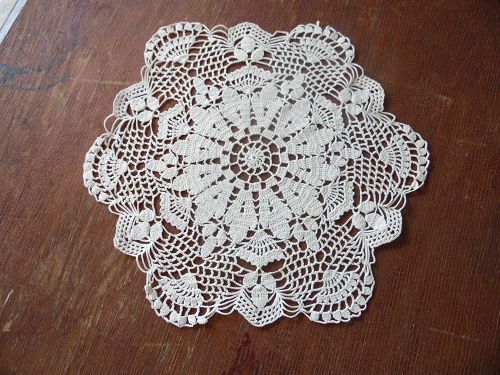 Nice vintage rectangular shape doily measures 18"x 27". Hand crochet work. No rips or tears, small area of a light stain that shows on one side only. Pretty shabby cottage decor. 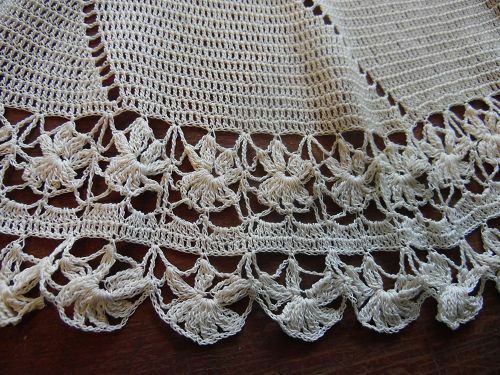 Vintage doily with the standup edge trim that you can heavily starch. White with a small green edge trim. Nice condition with no stains or damages. Measures 12" diameter. Pretty shabby cottage decor. Lovely 12" round doily is hand crocheted with acorns and fans incorporated into the pattern. Off white or ecru color. Perfect condition with no damages or stains. I have noticed. Nice shabby cottage decor. 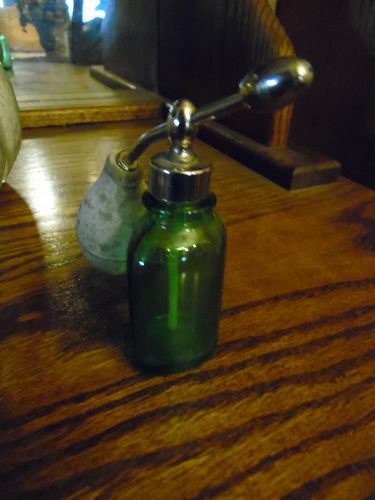 Antique Vintage Green Glass throat/nose sprayer Atomizer w Old Metal Lid and Bulb. Unmarked. MEASUREMENTS: 3 ½ inches tall; atomizer is 5 inches long. CONDITION: No chips, cracks, or flakes to the glass; lid easily twists on and off. Bulb intact but has some cracking due to age. 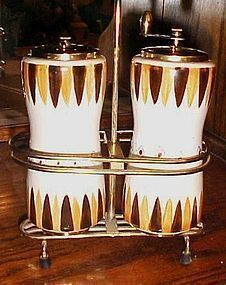 Vintage 1950's/60's Hollywood Regency/ Mid Century Three Piece "Moderne" Chip & Dip Set with 22k Gold and Avocado stain glass look Decoration by Anchor Hocking. This Gorgeous set in my opinion is in Mint Condition. It appears to not have been used. The chip bowl measures approx. 10-3/4" (across top) x 6" Tall. The dip bowl measures approx. 5-3/8" (across top) x 2-1/2" Tall. 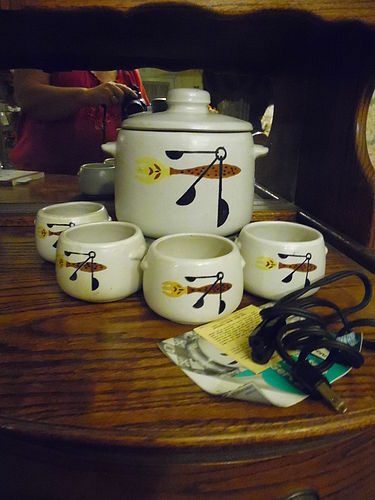 This would go well with your Pyrex. Please include your zip code so I can calculate your shipping, when inquiring. Awesome 60's mid-century gravel art wall picture. Exceptionally clean and perfect. 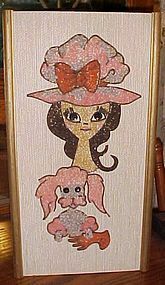 Big eyed girl wears a large hat which matches the adorable pink poodle she holds. Measures 18" tall and is 9 3/4" wide. Clean, no stains or damages all rocks are present and clean. Ready to hang. 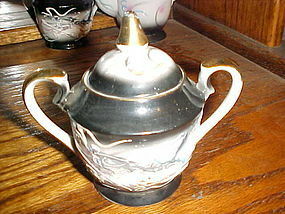 Demitasse size dragon ware sugar bowl and lid. Demitasse size Measuring 4 3/4" tall with gold trim. Original CDCG Japan sticker on the bottom. Dragon is in relief and has blue eyes. Wonderful condition other than some gold wear on the lid finial. I will be listing other single pieces to this so you may replace pieces to your set. 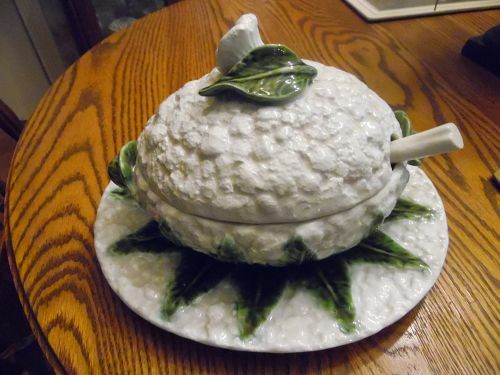 Demitasse size dragon ware teapot and lid. Demitasse size Measuring 7 1/2" tall with gold trim. Original sticker on the bottom. Dragon is in relief and has blue eyes. 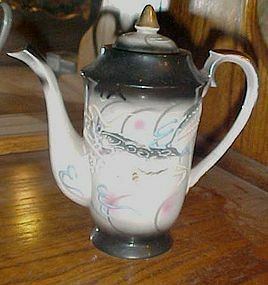 Wonderful condition other than a small chip on the spout Feel free to ask me for additional photos of this detail. I will be listing other single pieces to this so you may replace pieces to your set.